As the major BlackBerry model brands are updated for the holiday season, the Curve 8520 is the odd one out. Compared to the new Bold 9700 and Storm 2, it just feels out of date despite its new features. At a time when all three major Canadian wireless carriers are bragging about faster new networks, this model doesn’t support those new formats. It lacks an embedded GPS and the display resolution is not as good as the Curve 8900. It’s a phone that won’t win any points from the enterprise – since it’s stuck on 2G networks. But it doesn’t help the Curve’s case for winning over the consumer either (aside from some added media buttons). Rogers Wireless is offering the phone for $50 on a three-year contract and $450 without a contract. 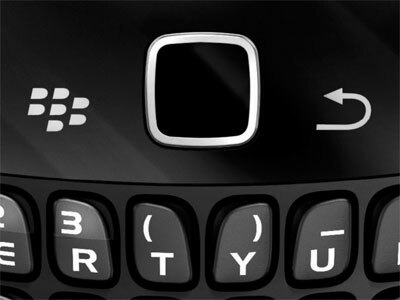 Perhaps the most notable thing about this new Curve model is that it debuts trackpad navigation for BlackBerry phones. It was the first released in Canada to use the trackpad – and marks the trackball as just another chapter in smartphone history. BlackBerrys have become synonymous with trackball navigation over the past few years. The white ball used to move your cursor around the screen was in the centre of every Research in Motion (RIM) device, save for the Storm, since it replaced the side scroll wheel. Now the device has been updated again. The trackball has been replaced with a touch-sensitive trackpad. No longer will BlackBerrys rely on an analogue device to be thumbed at – this is a fully digital replacement. Expect to see it on all BlackBerry models moving forward, including the new Bold 9700. Perhaps RIM got tired of fixing the trackballs. It was rumoured that problems with the BlackBerry Tour trackball caused a great deal of returns. Many BlackBerry owners can attest to experiencing some trackball difficulty at one time or another. Or maybe it’s more of an aesthetic improvement. The trackpad integrates more smoothly into the overall device – leaving no divot in its centre and raising only slightly above the four surrounding BlackBerry buttons. Using the trackpad to navigate is an improvement. It seems to detect acceleration and carry momentum of your thumb movements. This makes it easier to swipe down Web sites, across shortcut icons, and through music playlists. The trackpad is responsive and reliable. It is easy to click and the shiny, black finish makes it stand out enough from the rest of the device so that it is easy to find. Web browsing on BlackBerrys will be much improved by the trackpad. It makes zipping around Web pages much easier and faster. It’s an improvement from the trackball. It’s hard to imagine anyone missing it when they pick up this device. The other can’t-miss change from past BlackBerry design is the inclusion of three media buttons along the top of the device. There’s a play/pause button, a rewind, and a fastforward button. Using these, BlackBerry music listeners can more easily switch tracks and control their music. The buttons work fine, but it seems like an underwhelming consumer feature. The Curve has always been well-positioned for the consumer market and these buttons are clearly meant to add to that identity. But no one is going to choose this phone as a music-playing device because of three buttons. It pales in comparison to other music-oriented phones on the market. The Curve 8520 is a very light phone, even more so than Curve 8300 models. It’s QWERTY keyboard is almost identical to the older models. There’s a standard 3.5 mm headphone jack for music listeners, and a microUSB to connect with your computer. Other than the new trackpad, this phone isn’t hardly worth mentioning. With so many better options on the market – including new BlackBerrys – this won’t find its way into the pockets of very many business professionals or consumers. The Curve 8530 model at least offers 3G connectivity and embedded GPS, but it is not offered by Rogers at this time. The business professionals that want a Curve form factor with the solid e-mailing and productivity capabilities BlackBerrys are known for are better off with the Curve 8900, also offered by Rogers. Brian Jackson sometimes tweets from his BlackBerry, and sometimes tweets about his BlackBerry. Follow him on Twitter.